Today I have come to talk in greater detail about a topic that may not be of interest to everyone but that I consider important to cover. So, today I have come to clarify some points regarding your understanding of the community and of building the community. We have touched upon this topic in many Dictations. However, it was not a very deep Teaching. Rather, we were simply trying to guide your thoughts in that direction because the next stage of the evolutionary development of humankind is the stage of community. However, the very notion of a community has introduced so many distortions that each time when starting this topic, it is necessary to use concepts and terms very carefully and verify how these concepts are perceived at an ordinary human level. We have already said many times that everything in your world has a dual nature, and no matter what we touch upon, it has two sides. The more clearly we can convey to your consciousness the image of the community that the Ascended Masters are teaching about, the greater the probability is that the process of changes in society will move in the right direction. Up until now, humankind has not developed the understanding of the community any further than the level that it was at during my incarnation as Gautama Buddha. It was then that I was able to create the image of the community on the physical plane that could have been the closest to how it was perceived by the Masters. Yet, now I see that this image was far from the ideal because everything was based on worshiping me as the Master, and many people followed my instructions without getting to the essence of those instructions too much. Of course, in the case of absolute, unconditional, and irrevocable obedience to the Teacher who has reached the level of consciousness of Buddha, the progress of those people who belong to the community and who sincerely follow the instructions of the Teacher is extremely fast. And many of those people who accepted me as their Teacher have achieved, whether in that or the following incarnation, the level of consciousness that is close to the consciousness of Buddha. However, there is a shortcoming to such a community, namely, that sometime after the Teacher leaves the current incarnation, everything ceases to correspond to a high spiritual level. People perform the same ceremonies and follow the same moral principles, but since the main link that held the entire community together is missing, over time everything dies out and reaches the average level that exists on Earth. There is another image of the community that was practiced by people in Russia in the 20th century. It was also a community, but for some reason when one begins to talk about this community, people lose interest because the bright image and dream of humankind was being realized by people whose level was in the ordinary material plane and who thought in the usual categories of the physical plane. Such a community can only exist in the case when outer conditions force people to live in such community. These conditions can be fear, repressions, or direct eradication of dissidents. Therefore, such a community cannot have anything in common with the kind of community that the Masters talk about. What is left? How can the plan of the Masters for humankind be fulfilled? I can say that it is impossible to build a community based on instructions from above, even if this instruction comes from the Ascended Masters. The community is at the level of people’s consciousness that corresponds with the level of consciousness of the Sixth and Seventh Root Races. I can tell you that at the present time, the dedicated individuals from these Races, who obtained a Divine opportunity for their incarnation with their prayers, have lost all of their gained experience and have descended to the average level that exists on Earth. So, what is the solution to the current situation? 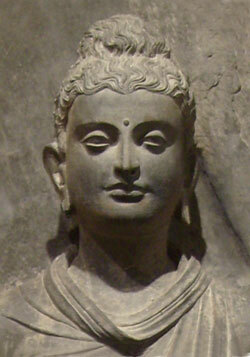 The community can consist of only those people who have attained the level of Buddhas or Christ-beings. Look around and see who from your circle has achieved the level of Buddha. If such individuals exist, they are located at least 24 hours away by foot from any populated locality. For none of the Buddhas can withstand the vibrations of your urban areas for longer than a few hours. It is a great myth that a person can attain a high spiritual level while living in the places populated by ordinary people who are not burdened with spiritual achievements. That is exactly why we say that it is essential to build self-sustained settlements, where conditions will be created for the birth of the individuals that belong to the Sixth and Seventh Races, and even for the incarnation of the Ascended Masters. We have been carrying this idea quite clearly throughout all the cycles of Dictations given through our Messenger. And we have even made an unsuccessful attempt to create such a settlement in close proximity to the Ashram of our Messenger. Now we clearly see that our efforts were unsuccessful because they faced a fierce opposition of the local residents and select individuals, and because they were not supported by the light-bearers whose support and direct involvement we expected. The window of the Divine opportunity for the creation of a community based on the Ashram of our Messenger has closed. And now we have to give lessons that are three or four years old so that the consciousness of people can shift in the right direction, at least a little. You will have to sit down at your desks again and begin a new course of studies. Do not be embarrassed; it is the usual situation that is typical for humankind of Earth. And, with the mercy of Heaven, the physical platform still exists where the plans of the Masters can be carried out. We are not losing hope that, sooner or later, the number of Dictations that you have read will transform the quality of your consciousness, and you will be able to perceive the words of the Masters not as recreational night-time reading but as direct instructions for living your lives. I AM your elder brother Gautama. 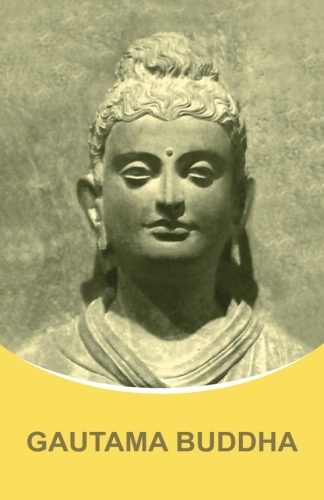 Dictations of Gautama Buddha in the book "Gautama Buddha"
The "Words of Wisdom" series continues with the Messages of Master Gautama Buddha. Many Teachings are given in them.Here are some of the Teachings about: the change of consciousness, the current situation on the Earth, the interrelationship between cataclysms, social conflicts, wars and the level of consciousness of humanity, the Community, happiness, overcoming conflicts, discernment and Buddha consciousness.